So as many of you know because I mention it all the time, I am addicted to Instagram. It's true. I just love that it's become my little journal of daily activities and our adventures, fun foods we're eating and things I find inspiring on a daily basis. I also am in love with the fact that I can grow so close to so many of you by seeing into your lives in the photos you share there, and between those photos and the conversations we have I've made so many great friends. P.S. if you're not already a follower on IG and would like to follow along, click the button below for my profile! I gotta admit, I'm a little partial to the ones of your sweet cherubs! Little rays of sunshine. I try not to post photos of my little one everyday, but it's hard when they're so cute! I love your blog so much! May be you are preparing some easter DIY soon? very cute!!!! what would we do without IG? 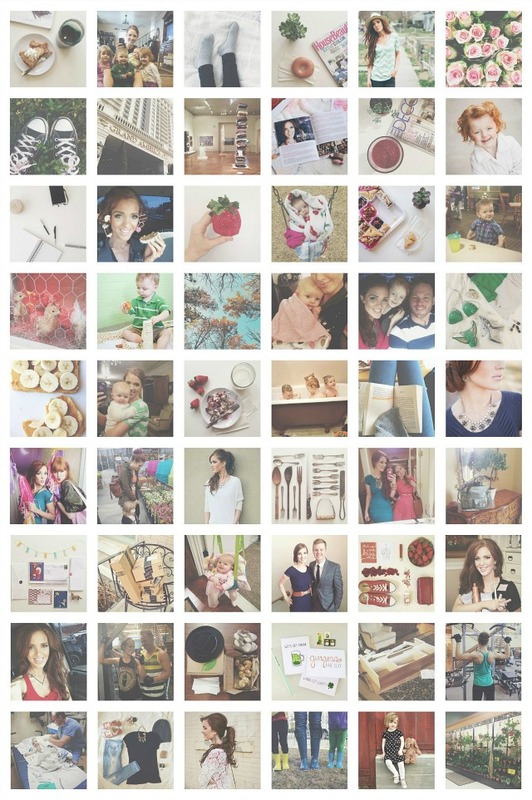 I love following you on Instagram and seeing all your cute kiddos along with your great style and beauty tips! I feel like we learn so much about each other just from pictures! If you're interested in checking it out, I've recently taken back to blogging and focusing more on health and fitness now! I'm also participating in the #1800 challenge! This is a great idea Em! I think I might do this next quarter. What a good idea! I am also OBSESSED with Instagram. Pictures really do tell a thousand words, and it's so fun getting to know who people are through their photos. Love! How awesome is that? Now the real question, how did you do that? Awww, great idea, Emily! I love following you on instagram! Happy Saturday!